When will be The Ray D'Arcy Show next episode air date? 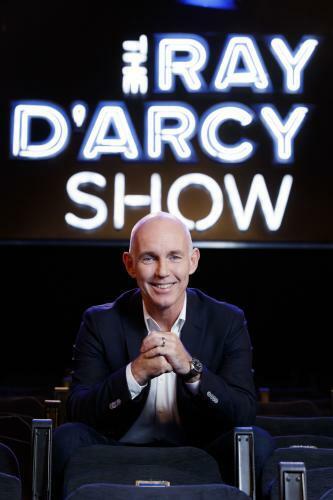 Is The Ray D'Arcy Show renewed or cancelled? Where to countdown The Ray D'Arcy Show air dates? Is The Ray D'Arcy Show worth watching? Airing every Saturday night from September 26th, broadcaster Ray D'Arcy marks his return to RTE television with a new prime-time Saturday Night chat-show. Ray is one of Ireland's best known and best loved presenters and The Ray D'Arcy Show will play to his strengths by featuring an irreverent mix of chat, comedy and music alongside guests from all walks of Irish life. With an emphasis on fun Saturday night entertainment, The Ray D'Arcy Show will include Irish and international celebrity interviews as well as strong human interest stories alongside comedy and music from both well established and emerging talent. The types of interviews and unmissable TV moments that get people talking. Ray welcomes broadcaster Marty Morrissey, couple Dil Wickremasinghe and Anne Marie Toole, doctors Pixie McKenna and Phil Kieran, and funnyman David McSavage. Ray welcomes Eurovision mentor and X Factor judge Louis Walsh and Dancing with the Stars finalist Aoibhín Garrihy and her Snapchat star sister Doireann who chat to Ray about supporting one another on and off screen. The Ray D'Arcy Show next episode air date provides TVMaze for you. EpisoDate.com is your TV show guide to Countdown The Ray D'Arcy Show Episode Air Dates and to stay in touch with The Ray D'Arcy Show next episode Air Date and your others favorite TV Shows. Add the shows you like to a "Watchlist" and let the site take it from there.